Starry Eyes belongs to a long tradition of what I will call “conspiracy horror” films. That is, films which posit the idea that there is some cabal of powerful people running either the world, a particular country, or in this case Hollywood, who maintain their power through occult practices. It’s probably best not to say too much about the plot – like many of the films on this list, Starry Eyes works best if as much as possible is left to the imagination. Suffice to say it concerns a young woman who is desperate to become a famous actress. She is originally rejected at an audition for what she hoped would be her breakout part, but when the people running the audition learn she suffers from trichotillomania, they suddenly become interested in her. There are strong elements of body horror in Starry Eyes, which is something many filmmakers attempt and fail at – the most obvious example being Tom Six’s stunningly mediocre Human Centipede trilogy. 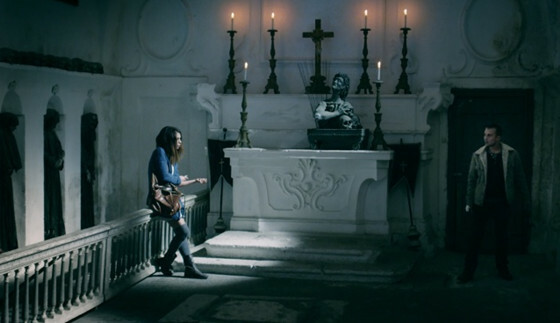 Fortunately, the body horror in Starry Eyes is done fantastically well, as is basically every aspect of the film. Definitely one to watch. Much like The Hole, EL Katz’s directorial debut Cheap Thrills is all about putting characters in a room, applying pressure, and seeing what happens. In this case, the characters are two old friends, Craig and Vince, and a rich couple with a very odd idea of fun. Craig is a car mechanic who has just lost his job; Vince is his old friend from school, now working as a debt collector for a gangster. They meet in a dive bar having not seen each other in years and, after reconnecting over a few drinks, run into a rich couple who challenge them to a series of increasingly crazy dares for money. As the dares become more and more dangerous, and the amount of money on offer gets higher and higher, long-buried tensions between the two men start to bubble to the surface. Cheap Thrills is a fantastically tense film driven by Trent Haaga and David Chirchirillo’s tightly-written screenplay. Kevin Smith is not a filmmaker most people would associate with horror. His name has become a byword for sharp, irreverent comedy ever since he broke into the film world with Clerks in 1994. With Tusk, though, Smith has proven that he has what it takes to make a seriously disturbing horror film. Tusk is a horror-comedy unlike any other, for the simple reason that it is a horror comedy. Most films that pretend to that label are simply comedy films with monsters in them – a film like Shaun of the Dead or John Dies At The End makes no attempt to scare its audience, and so cannot be considered a horror film. Tusk, on the other hand, is both hilarious and disturbing in a way that few films manage to be. 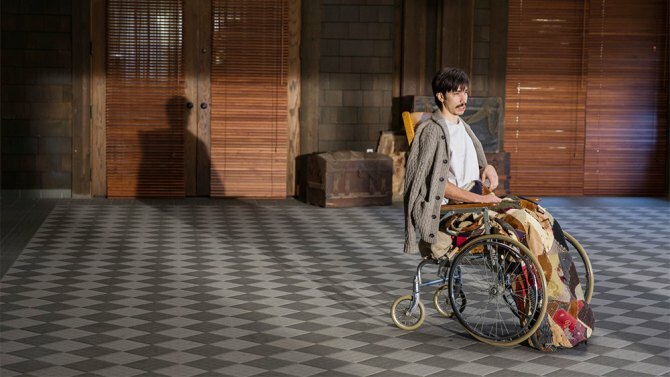 There is something so abject about the fate of the main character, something in the film’s portrayal of the deepest depths of human misery, that ensures Tusk will stay with the audience long after the credits roll. While the ending will certainly prove divisive, the sheer cruelty of this film combined with Smith’s trademark sense of humour makes it a unique viewing experience. Towards the end of this film, a character makes a very stupid decision that, for some viewers, may be enough to break the spell. Notwithstanding that, however, Creep is still one of the greatest horror films ever made. To make a horror film on a very small budget is nothing new – Night of the Living Dead was made for $114,000, and subsequent productions such as The Blair Witch Project and Paranormal Activity have been made on budgets that make that look practically opulent. What Patrick Brice (writer, director, lead actor) and Mark Duplass (writer, lead actor) have done that is so remarkable is to make a near-perfect, character-driven horror film with virtually no jump scares, all for the cost of a single camera and maybe fifty dollars’ worth of props. Brice and Duplass even go so far as to play the two main characters themselves, making it clear that they are not only excellent filmmakers, but very talented actors as well. What’s more, while Creep is technically speaking a found footage film, one almost forgets that fact while watching it, because the film is so original and so devoid of clichés. Watch Creep, and watch it with as little foreknowledge as possible. You will be scared. The 2011 prequel to John Carpenter’s The Thing was largely regarded as a complete waste of time, largely because of the filmmakers’ decision to use computer effects rather than the practical effects that had given the 1982 film all of its most iconic moments. Fans of Carpenter’s film would be better advised to check out Harbinger Down, a 2015 film heavily influenced by the 1982 The Thing, and made by the same special effects team that worked on that film. As one would expect, the filmmakers stick as far as possible to practical effects, only using CGI to enhance what they had already done practically, for example by erasing wires etc. This results in the monster having much more of a physical presence in the film – there is a difference in the way actors act when they are presented with an actual physical thing, and the way they act when presented with a placeholder for a CGI creature that will be added at a later date. 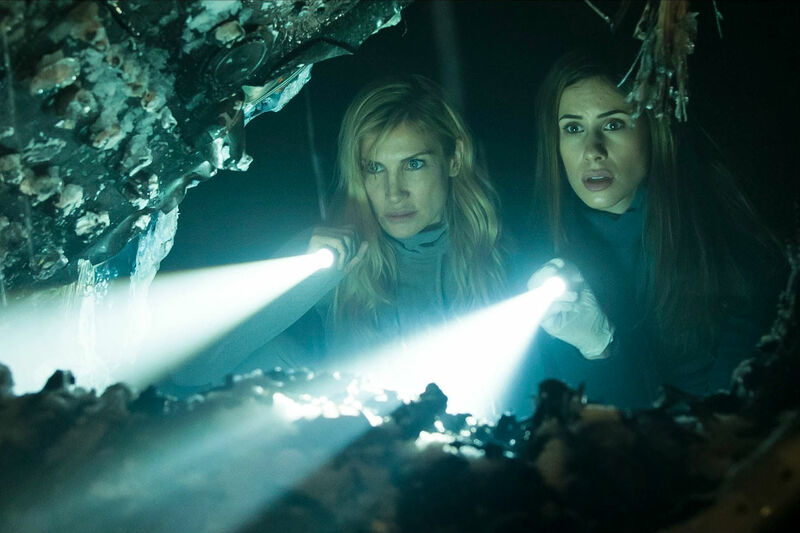 The plot of Harbinger Down is essentially the same as that of The Thing, but it’s different enough to be worth watching in its own right. It’s debatable whether this is a horror film at all – while there are frightening moments, Spring as a whole is a tender exploration of love and loss that aims to move rather than to scare. Still, it’s generally referred to as a horror film, it does have a monster in it, and it is definitely underrated, so it seems to belong on this list. Spring is about a young American man who loses his mother to cancer and, later that day, is sacked and finds himself wanted by the police. Understandably, he decides to leave the country, and ends up in Italy, where he meets a beautiful woman and embarks on a whirlwind love affair. Gradually, though, first the audience and then the young man himself become aware that all is not what it seems with this woman. It’s best to watch Spring with as little prior knowledge of the plot as possible, as part of the pleasure is watching the plot unfold in a way that confounds one’s expectations. To conclude, then, Spring is one of the best “horror” films on the market, and one that deserves far more attention than it has got so far. The home invasion film is a subgenre that runs the gamut from the stupidity of The Purge to the tedious pretension of Funny Games. Up until this year, perhaps the only good home invasion film was Sam Peckinpah’s Straw Dogs. With the release of Hush, though, that changed. Unlike most such films, Hush doesn’t waste the audience’s time with pointless build-up; rather, Flanagan throws us headfirst into the action within a quarter of an hour of the film. The fact that the main character, deaf author Maddie, is already interesting enough by that point for us to root for her is testament to Flanagan’s skill as a director and his and Kate Siegel’s as writers. The problem with most home invasion films is that the characters are useless – they make so many stupid mistakes that it becomes impossible for the audience to identify with them. The root of what makes a horror film scary is the idea that what is happening to the character could be happening to you. So if the viewer can say “I wouldn’t be in that situation, because I wouldn’t have done any of that”, it creates a distance between them and the character on the screen that prevents the character’s suffering from having any impact. Maddie, however, is the ideal protagonist. She’s just vulnerable enough to be believable, but she’s tough enough and puts up enough of a fight that the film is tense – the audience genuinely doesn’t know which way this is going to go. Will Maddie escape her attacker, or will he kill her? The only way to find out is to watch. 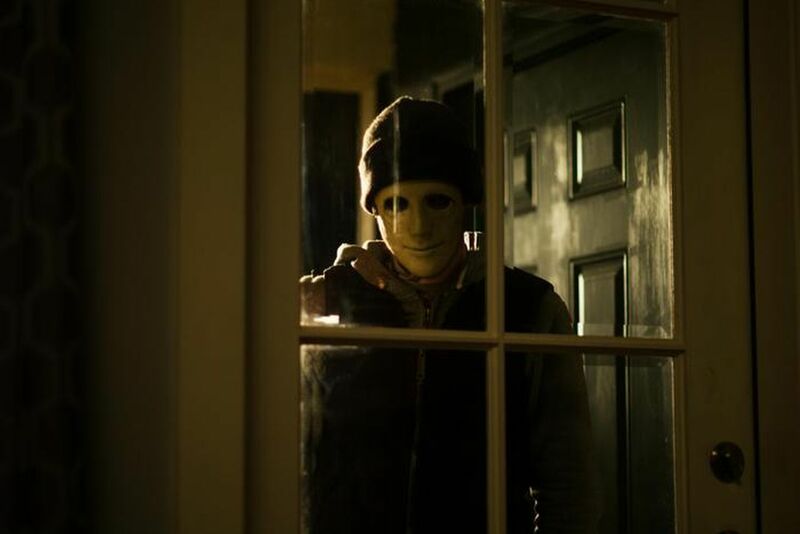 Unsurprisingly, Hush received unanimously positive reviews from critics, but despite this it seems as though no one has heard of it outside of serious horror aficionados. Perhaps it will grow in popularity, but for now, this remains a decidedly underrated film. Author Bio: George Jones is a writer and musician from Essex, currently living in Wales. In addition to writing about film, he makes Youtube videos under the name ThePeculiarLefty.